What’s Alibaba Up To With Its Latest “Relative Account” Function On Taobao? 摘要： On Feb. 1st, Alibaba officially rolled out the new function “relative account” as part of its effort to win over elderly users. What does the new function mean? What's Alibaba up to? Last week, Alibaba posted a recruitment ad, in which some internet users were amazed to find that Alibaba was willing to provide a yearly salary of $ 55,000 to 79,000 for veteran user research specialists, and that candidates who used to be leading dancers of square dance or members of the neighborhood committee are given an priority. On Feb. 1st, Alibaba officially rolled out the new function “relative account” as part of its effort to win over elderly users. Now, Taobao users could already add “relative accounts” to their own accounts and link their accounts with that of their elders, kids and spouses. Therefore, the entire family can communicate inside Taobao, interact, and pay for each other. After two accounts are linked together, parents’ Taobao APP interface would be adjusted, with head portrait of their kids’ accounts floating above. Parents could send product link and ask their kids for help at any interface before making any consumption decision. When it comes to online payment, parents could choose either “Help Pay” or “Add-on Pay” even if their own accounts are not binded with any debit card or credit card. Turning kids into "customer service agents" for parents? Since it could be really difficult for the elder users to log onto Taobao via user names and passwords, the “relative version” Taobao APP allows users to log onto Taobao via smartphone numbers and verification codes. Besides, the elder people now could register new accounts by having their kids initiating a relative account. 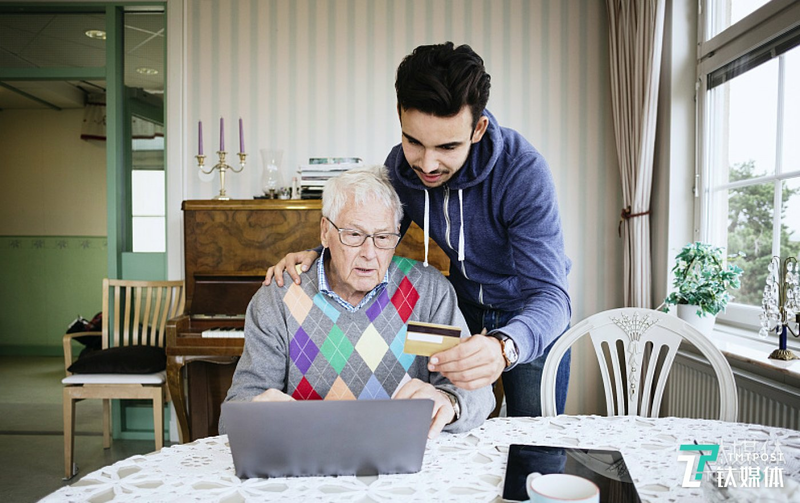 “Here’s how we reasoned: today, many elder people actually want to use Taobao and shop online, however, they just haven’t make the first step yet. So we think, why don’t we allow their kids to take the initiative and help them make the first step,” Ding Jian, head of Taobao interactive business, explained. b) More efficient product search algorithm. With a massive library and a detailed product catalog, the ordinary version Taobao appeals to the young people very well. However, this just doesn’t work for the elders. To make the interface more accessible to elder users, the “relative version” Taobao is simplified a great deal. 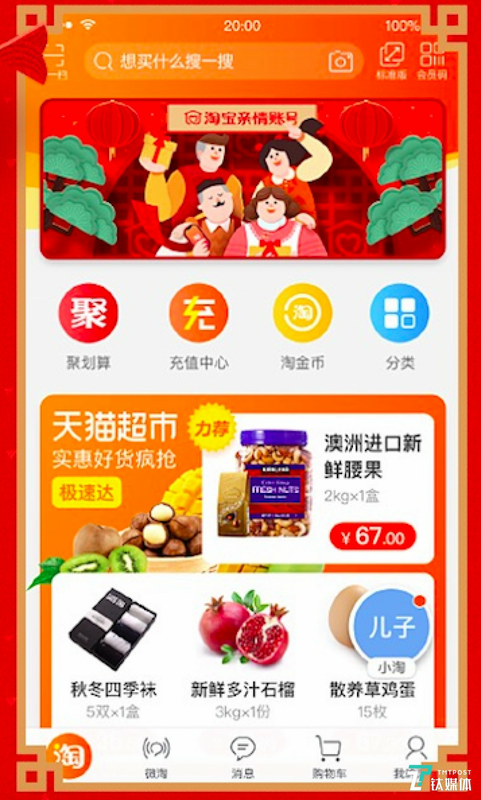 On the homepage of the “relative version” Taobao, Tmall Supermarket is given a prominent position. Besides, products with high quality-price ratio and practical usage by the elderly users are also recommended to elder users on the “Super Value & Best Pick” section of the homepage. According to Ding, around half a million to a million products are included in the database of the “Super Value & Best Pick” section. All these products are selected based on the past consumption preference of the elder users and will be updated weekly. Besides, the “Live Streaming Find Good Stuff” section is also give top priority on the homepage of the “relative version” Taobao APP. TV shopping guide programs remain a more obvious and acceptable guide for the elder users when they choose products. Therefore, live streaming might act as a great alternative. “Two types of live streaming are especially welcome on Taobao: live streaming about fresh produce, jewelery and clothing; professional live streaming (how to preserve health, how to cure common diseases, etc.). It is our wish that by highlighting the live streaming shopping guide section, the elder users could enjoy a better shopping experience on Taobao,” Ding explained. At present, there are around 1,000 live streaming events targeting the elder users every day, and Taobao has been actively recruiting more elderly streamers, as long as they have any professional skills or knowledges. c) Lower shopping decision-making threshold. In the past, even if the elder users find something they’d like to buy, they would doubt if they really need it or if it’s worth the price. Without sufficient advice from someone they trust, most elder people would just drop the idea. However, with the new function, parents could easily contact with their kids, send product links and ask for their kids’ advice. Besides, with kids’ portrait on a floating window, parents could contact with their kids with one simple click on any pages. After linking the accounts with kids’, parents could contact with their kids at one click. On the one hand, parents could place an order and ask their kids to pay for them; on the other hand, kids could make “add-on payment” available so that parents could complete payment by themselves as long as the order volume is under a designated amount. In addition, on the “relative version” Taobao, after-sale procedures such as customer service refund, etc. are all give to kids. For elder users who could place orders by themselves, the “relative version” Taobao also provides a special customer service system. As long as an order is identified as “relative order”, specialized customer service agents will intervene and provide according service. “We want to make kids the first customer service agent for the elder users. Whether ‘Help Pay’ or ‘Add-On Payment’, they are all part of our user education efforts. Our ultimate goal is to help elder users place orders entirely by themselves” Ding explained. With less and less young users to attract, Chinese e-commerce giant has turned to the elder users, as the Chinese society is rapidly ageing. Statistics from the Ministry of Civil Affairs in 2017 suggest that the number of people over 60 years old in China has reached 230 million, and that over 80 per cent of them have phones (mostly smartphones) of their own. Statistics from Alibaba also show that there are already nearly 30 million Taobao and Tmall users who are over 50 years old, among whom people at the age of 50 to 59 takes up 75 per cent. The average consumption volume of this group of people is around RMB 5,000 (around $ 791) every year, while the average number of items they purchase every year is 44. In other words, their purchasing power can’t be underestimated. From this aspect, it’s reasonable why Alibaba rolled out this new function. However, this is not the whole picture. According to Ding, for the past two years, Taobao has always been primarily focused on community building and stabilizing social networks through online shopping. 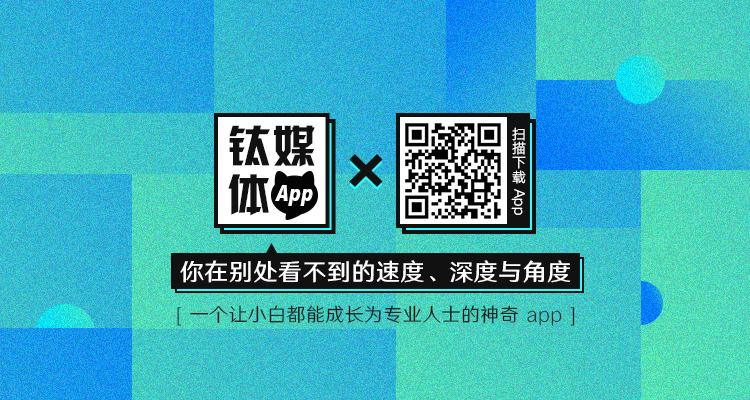 In this context, the new function also represents part of Taobao’s effort to achieve this goal. 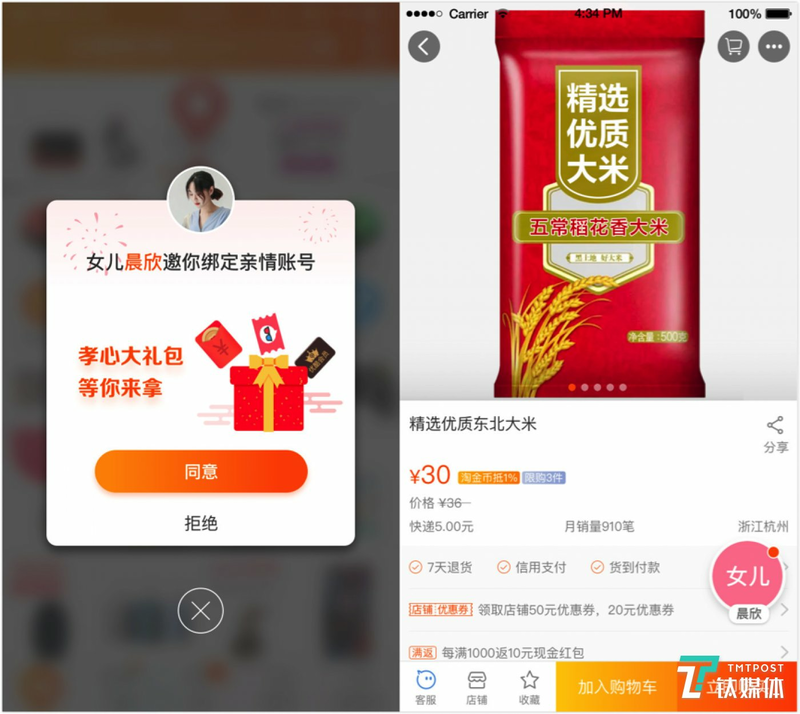 “Through the ‘relative version’ Taobao, Taobao becomes not only an APP of one’s own, but also an app for the entire family,” Ding explained. Next, Taobao shall include other family scenarios inside Taobao. For example, the parents could set up a certain amount for their kids, just like the pocket money, so that their kids can also shop online. As for couples, Taobao shall allow them to share their shopping carts. As for families, Taobao shall allow users to set up a family-based chat group, where all family members can share products with each other more efficiently. According to Ding, Taobao shall roll out more functions targeting certain groups of users in 2018, and “relative account” is just a beginning. It is his wish that Taobao shall grow into a bridge and have family members interact with each other more frequently through online shopping. “As the traditional Chinese Spring Festival is coming, we thought it very appropriate to target “family” on this occasion,” Ding said at last.